Confirm bookings with your preferred vendors early on to avoid disappointment. Venues, photographers, caterers, accommodation and celebrants are often in high demand and worth booking in advance. 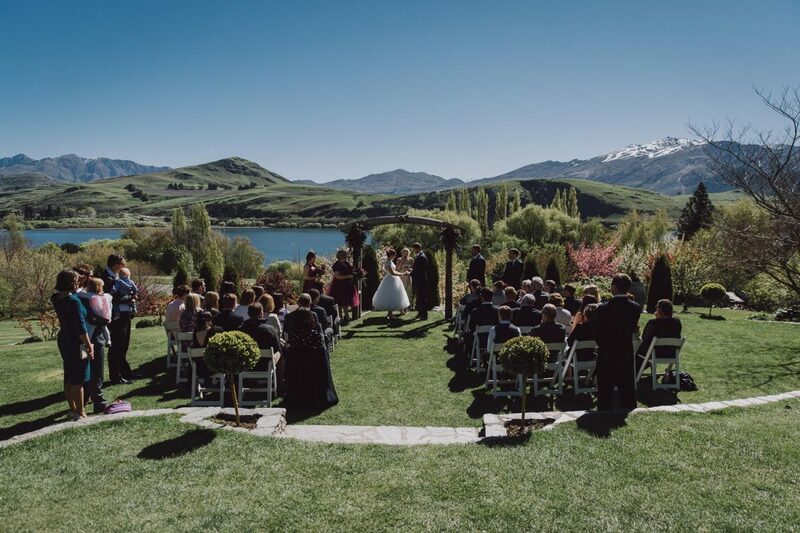 This is especially important during popular dates: weekends, public holidays, and event days such as Queenstown Winter Festival (June), Queenstown Marathon (mid-November), and the Gibbston Valley Winery Concert (January). Don’t settle for plan B, lock in your favourites now. Paying a wedding planner is effectively buying yourself more quality time to spend with your partner, your friends and your family. The most stressful time during wedding planning is the week of the wedding, and this is when you really should be enjoying yourself and connecting with your favourite people. Hire a ‘week-of’ or even ‘day-of’ coordinator to do the last bit of hard work for you, so that you can relax and enjoy your big day stress free. 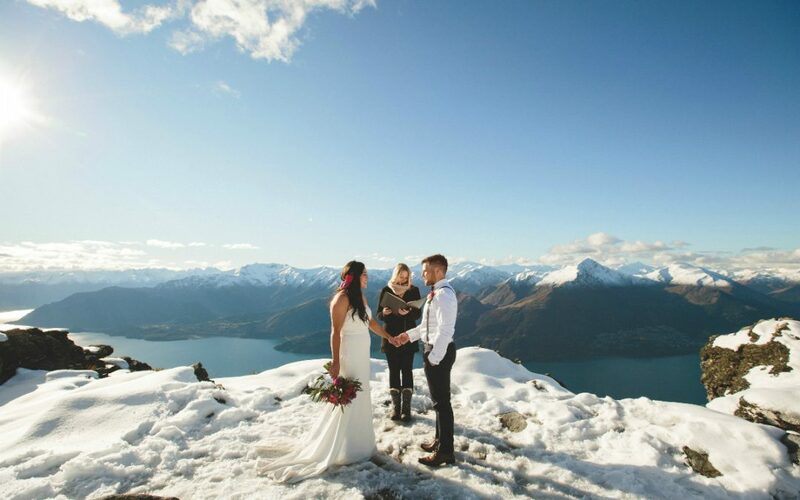 Queenstown provides the perfect natural backdrop for your wedding day, with little need to accessorise. It offers impressive mountains, meandering valleys, smooth sailing lakes, mystical forests, and scenic rivers. Everywhere you look is another stunning view, so there is no need to get overcomplicated with, or spend too much time and money on, decorations. To be legally married there are only four requirements: you need a licence to marry, you must accept each other as husband/wife, you need two witnesses, and there’s some paperwork to sign. The rest of the wedding ceremony and the wedding day is totally up to you – it’s fair game! Talk with your partner about what’s most important to you both about your wedding day celebrations, and let go of anything that isn’t. Think about who you are as a couple and the things that represent your relationship and make you unique. Jot down a few key words and keep these in mind when choosing all the elements that will come together to create your perfect wedding day. Unexpected costs crop up everywhere when planning a wedding, particularly in the week leading up to your big day. The best way to know exactly how much you’re spending and what you’re getting for your money is to have signed agreements with all of your vendors. Make sure you read through the agreements carefully and question anything that you’re unsure of or unhappy about. This will make it much easier to stick to your budget and avoid the stress of over-spending. Plus, more money for the honeymoon!